Anyway, not every makeup product marketed as offering a natural or indetectable effect delivers on its promises, but we are seriously impressed with the cool products celebrity makeup artists used on famous men like Rami Malek and Henry Golding on the Oscars and SAG Awards carpets this year. If you're into the look of perfect skin and snatched brows without looking like you have any makeup on at all, keep scrolling to check out the beauty products and advice that will make you look as low-key flawless as an A-list dude. 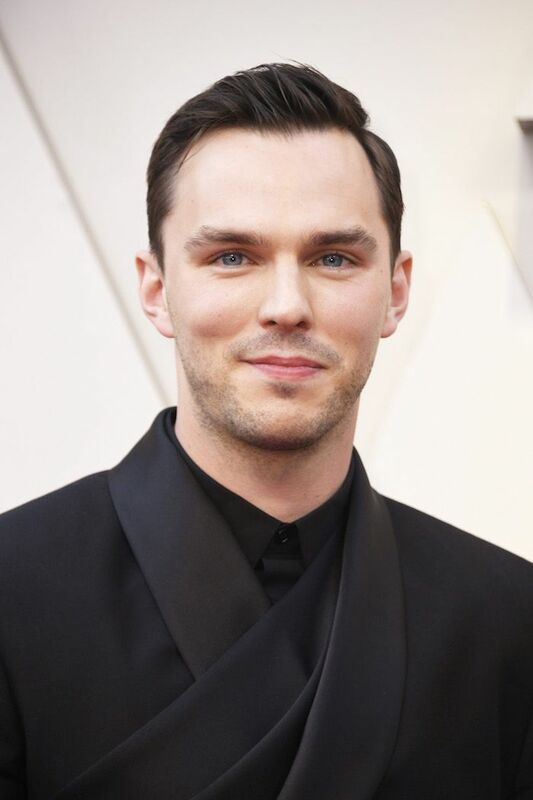 For Nicholas Hoult, makeup artist Kumi Craig, who specializes in men's grooming, focused mostly on skincare so she could use as few makeup products as possible. "It was easy to achieve a fresh-faced look for Nicholas with his already glowing skin," she said. She used Dior's Age-Delay Mattifying Serum ($95) all over the face and Prestige Le Micro-Serum de Rose Yeux ($225) under his eyes before applying the brand's Backstage Face & Body Foundation in shade 0CR ($40) for light coverage. "After seeing Rami ’s Saint Laurent Tux I immediately knew that I needed to keep his look classic Rami: handsome leaving a cool vibe," said makeup artist Marissa Machado of the Best Actor winner's Oscars beauty look. Machado used the buzzy non-toxic brand Kosas Cosmetics—its hydrating Tinted Face Oil in shades 05 and 06 "to create a natural sun-kissed warmth" and its Kosasport LipFuel in Baseline, "which has been [Rami's] trusted lip hydrator all award season" and will be available soon. For skincare prep, Rami received a facial from Beverly Hills esthetician Cynthia Franco before hitting the red carpet. Tom Ford actually has a whole range of cosmetics marketed toward men. From what we can tell, nothing about the ingredients makes these concealers and lip balms better suited to men's skin, but the streamlined brown packaging does seem a little more compatible with male consumers concerned about that sort of thing. For Henry Golding's SAG Awards look a lineup of Tom Ford men's skincare and makeup was used including its Skin Revitalizing Concentrate ($155), Oil-Free Daily Moisturizer ($109), Anti-Fatigue Eye Treatment ($95), Bronzing Gel ($49), Concealer in Medium ($42), and Hydrating Lip Balm ($25). No wonder the dude looks so glowy. Another look that focused heavily on skincare was Topher Grace at this year's SAG Awards. Groomer Kristin Heitkotter used Dior's Hydra Life Pores Away Pink Clay Mask ($69) for three minutes to unclog the skin, then followed up with the brand's Capture Youth New Skin Effect Enzyme Solution ($65) to hydrate and prime his skin. Next she applied the brand's Capture Youth Redness Soother Age-Delay Anti-Redness Soothing Serum ($95) to his T-Zone and topped him off with its Hydra Life Fresh Hydration Sorbet Creme ($69). As for makeup, Heitkotter used Dior's Backstage Face & Body Foundation in 1N ($40) to even his skin tone and the Diorskin Forever Undercover Concealer in 021 Linen ($34). To add definition to his brows, she used the Diorshow Brow Styler in Universal Brown ($29). Next: Don't miss 28 holy-grail skincare products that cost less than $5 per wear.